Aaron Horkey will sell his first timed-edition art print in over a year tomorrow. 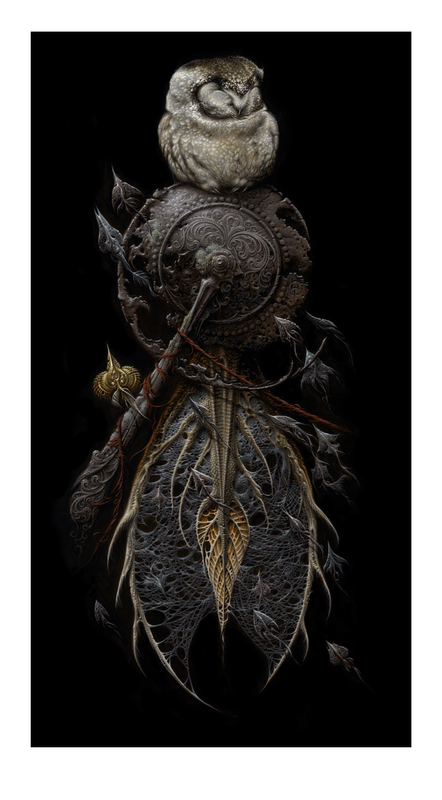 “The Snare” is a 10.5″ x 19″ varnished giclee with certificate of authenticity. It will cost $100. These go up Wednesday, May 18th at 12pm Central Time and will be up for 72 hours, ending on Saturday at 12pm Central Time. Visit THEVACVVM.com. Looking great….Probably amazing in person.